As I report for CULTURE magazine this month, Colorado has issued a record nineteen recalls in nineteen weeks due to pesticides. Washington state regulators fined two growers for use of disallowed pesticide use. States officials nationwide are promulgating historic new guidelines for allowable pesticides on medical cannabis and recreational cannabis, but experts note that no currently allowed pesticide has been tested by the EPA and determined to be safe to spray on cannabis. In the 2015 Emerald Cup, which drew hundreds of entries from across California, about one in six entries failed lab tests for pesticides or pathogens like mold, bacteria, and fungi, according to contest organizer Tim Blake. "Quite a few people failed," Blake said. The Cup did not publicly name and shame contestants who failed the 2015 screening, but in 2016, it will. “Last year, it wasn’t spelled out clearly,” Blake said. “People said, ‘You’ll ruin us. It wasn’t or fault. We got tainted clones,’” referring to the small starter plants growers often obtain from a third party. Past Emerald Cups excluded butane hash oil because of the explosions and fires associated with amateur producers of the high-potency product. But the high-flavor extracts are also enormously popular with patients and pot aficionados. After discussions with extract experts and lab operators, the Cup decided to allow BHO entries. But they will be heavily screened for residual solvent, as well as pesticides. 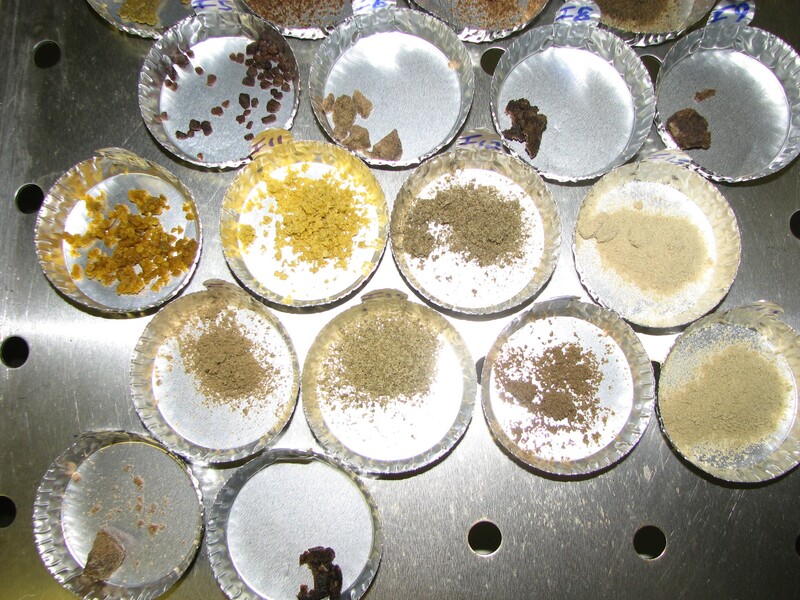 The advent of quality lab testing for BHO purity, as well as a new era of state licensing for butane hash manufacturers in the United States, means there is now a way to safely host a BHO contest in good conscience, Blake told me in an interview Tuesday. Cannabis extracts being prepared for lab screening. BHO entries in the 2016 Cup must pass an ultra-low threshold of fifty parts per million of solvent in the extract. The Cup is working with SC Labs on a pesticide screening that's affordable yet broad enough to catch the two dozen or so of the most common active ingredients in popular chemical pesticides, like Avid and Eagle 20. “We’re going to be very strict,” Blake said. “People are not going to get away with anything. "We can't have our judges smoking pesticides or mold," he continued. Because of the increased testing hurdles, Cup organizers are moving up contest deadlines to allow SC Labs time to screen all entries. The Cup will announce specifics for its December 2016 contest by April 20, said Blake. Blake also disclosed that the 2015 Cup had an estimated $15 million to $40 million economic impact on the North Bay city of Santa Rosa. The event has secured the rights to return to the Sonoma County Fairgrounds for the next five years. New state regulations barring medical pot licensees from selling outside of their store, or giving away products will not stop the Cup, Blake added. The City of Santa Rosa is prepared to override state law with a local law with regard to marijuana gatherings, he said. If true, the override will be among the first instances in which long-cherished “local control” over California medical pot laws serves patients and the industry. Most cities have used "local control" to ban medical cannabis commerce. In related news today, the High Times US Cannabis Cup has pretty much been run out of Colorado — where the rules of legalization like no freebies have pretty much killed the party's buzz. 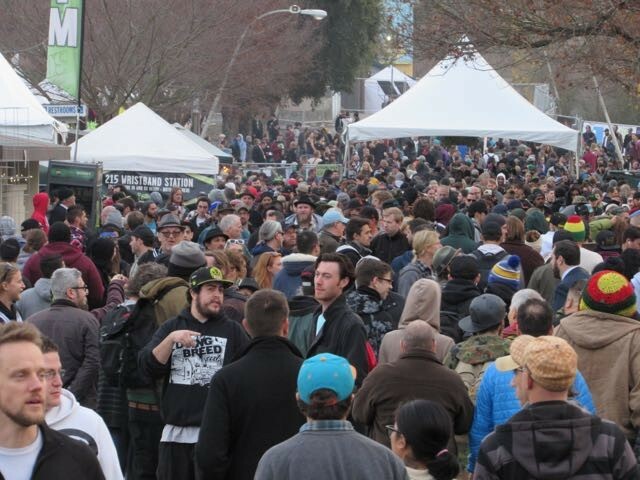 The US Cannabis Cup has relocated to San Bernardino, which bans medical dispensaries.